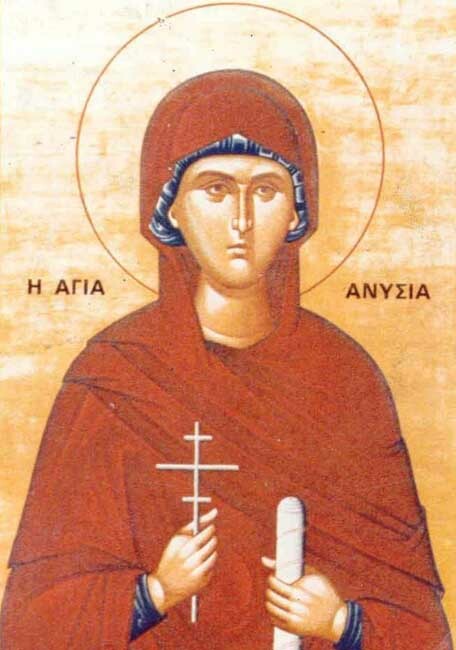 On the thirtieth of this month [December], we commemorate the Holy Venerable Martyr Anysia of Thessaloniki. The side Adam conceived Anysia. On the thirtieth the side of Anysia was stabbed with a sword. Anysia lived during the reign of Emperor Maximian (286-305), and was the daughter of pious and very wealthy parents from Thessaloniki. With the death of her parents, the Saint lived alone in quietude, and she pleased God by practicing and laboring towards fulfilling the divine commandments. One day this Saint was going to church, as she was accustomed to do, and on the way she encountered a Greek pagan soldier. He arrested her, and dragged her before the altars of the idols, compelling her to offer sacrifices to the demons. 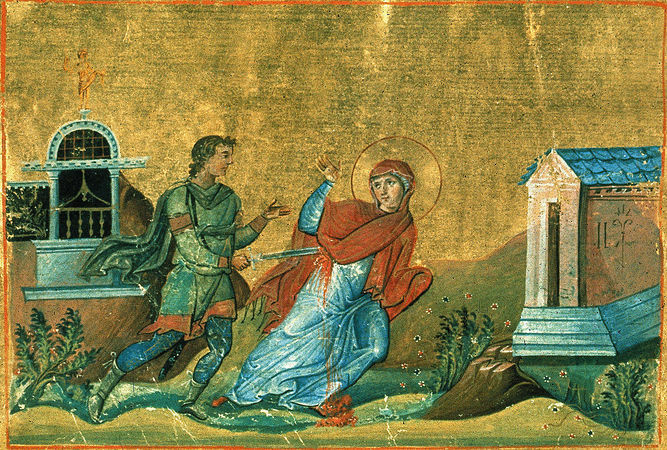 Because the Saint confessed Christ as God, and she spat in the face of that defiled soldier, this abominable man became enraged, and he ran his sword through the side of the Saint. 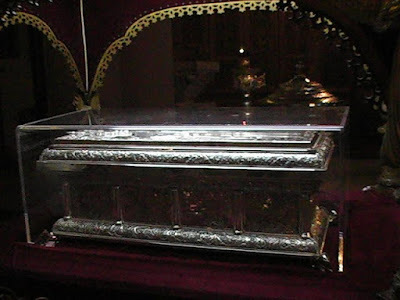 In this manner the blessed one received the incorruptible crown of martyrdom. Thou didst tread to the end the path of virtue and wast betrothed to God the Word, and didst rejoice in the contest, O Anysia. Thou didst shine with the light of dispassion, Melania, and shed rays of virtue on the world. And now we ask you both to beseech Christ the Lord that He will be gracious to us. Like a lamp of two lights you illumine Christ's Church with a mystical radiance. Thou didst bring forth fruit an hundredfold in thy martyr's contest, O Anysia; and thou didst shine in asceticism, O Melania. You were found worthy of the incorruptible life of the Blessed. 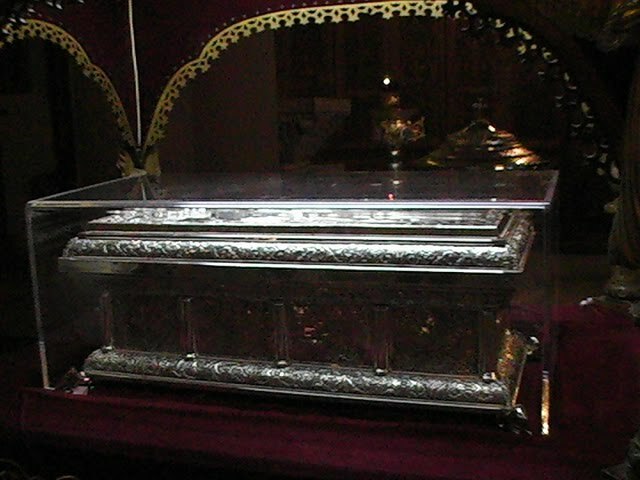 The relics of St. Anysia in the Church of Saint Demetrios in Thessaloniki.